Since 2011, Stack Overflow has been surveying their users each year to answer questions about the technologies they use, their work experience, their compensation, and their satisfaction at work. Given Stack Overflow's place in the broader programming world, they are able to draw quite the audience for their annual surveys. This year, nearly 90,000 developers participated in the survey! There's a lot in this survey, and I recommend reviewing it yourself, but I wanted to surface some of the key findings that I thought were particularly relevant to data professionals here. Stack Overflow says they will be releasing the underlying data for this survey in the coming weeks, so I hope to return to this for a deeper analysis once that's made available. For now, let's get into the results! 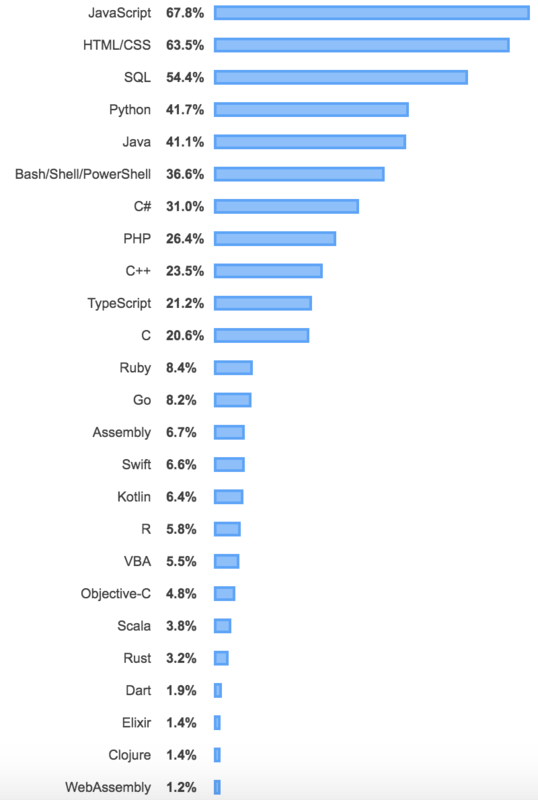 People with all different types of coding backgrounds use Stack Overflow. 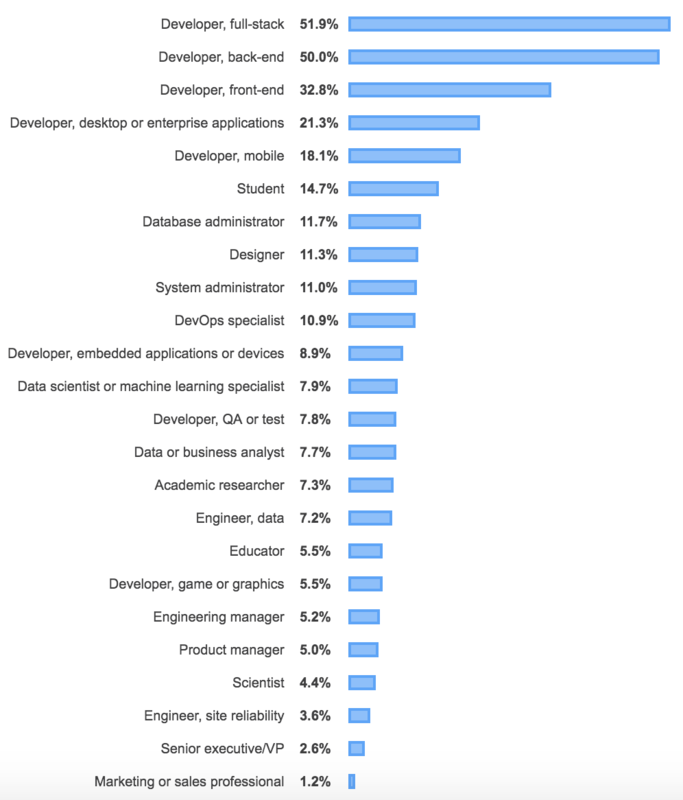 While most of them identify as developers (just over 51.9% globally identify as full-stack developers), there are also a significant number of data professionals on the list (a term I've just invented to include the categories database administrator, data scienctist, data analyst, and data engineer). 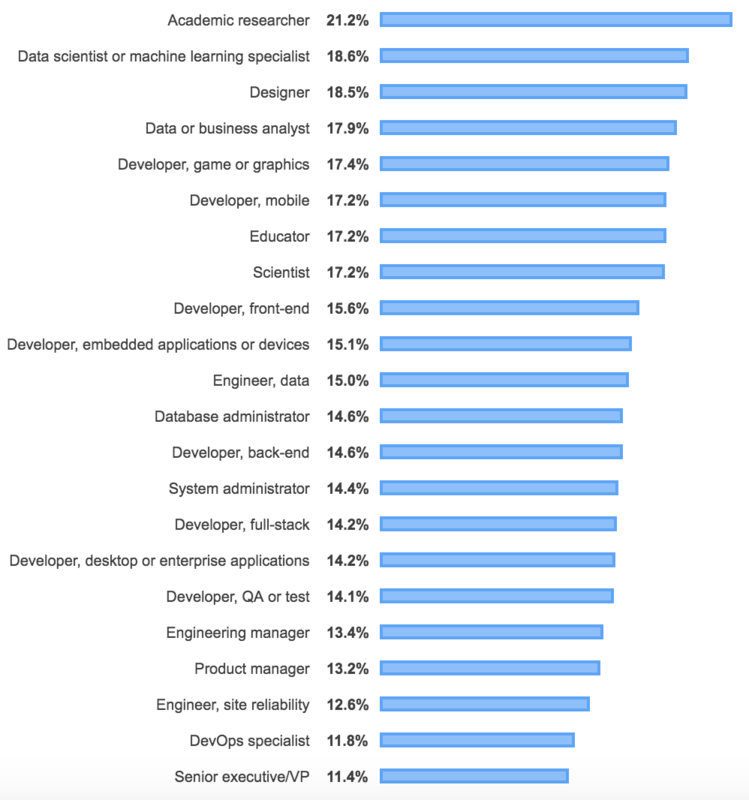 Globally, 11.7% of Stack Overflow users surveyed identified as database administrators, 7.9% as data scientists or machine learning specialists, 7.7% as data analysts / business analysts, and 7.2% as data engineers. These figures were slightly higher for US-based respondents to the survey. Note that these figures are not mutually exclusive, as people were able to select multiple options in the survey. In the United States, data scientists/machine learning engineers reported an average salary of $120k. 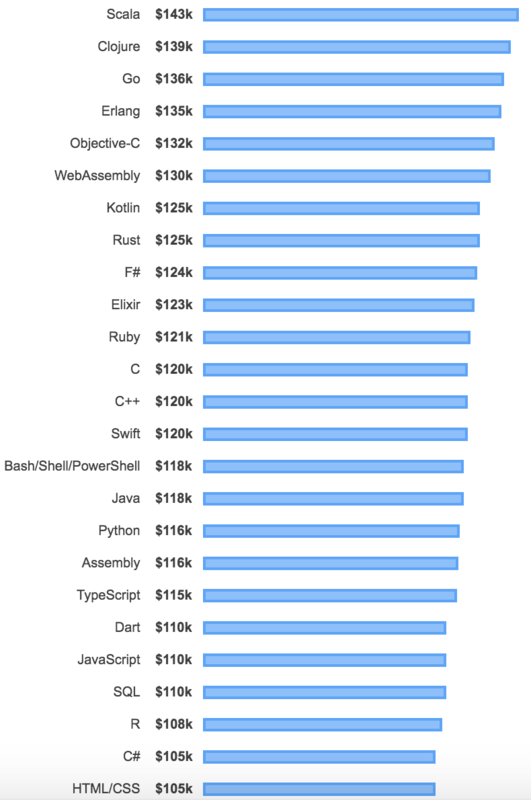 Data engineers also reported an average salary of $120k. Database administrators reported $105k, while data analysts / business analysts reported an average salary of $100k. 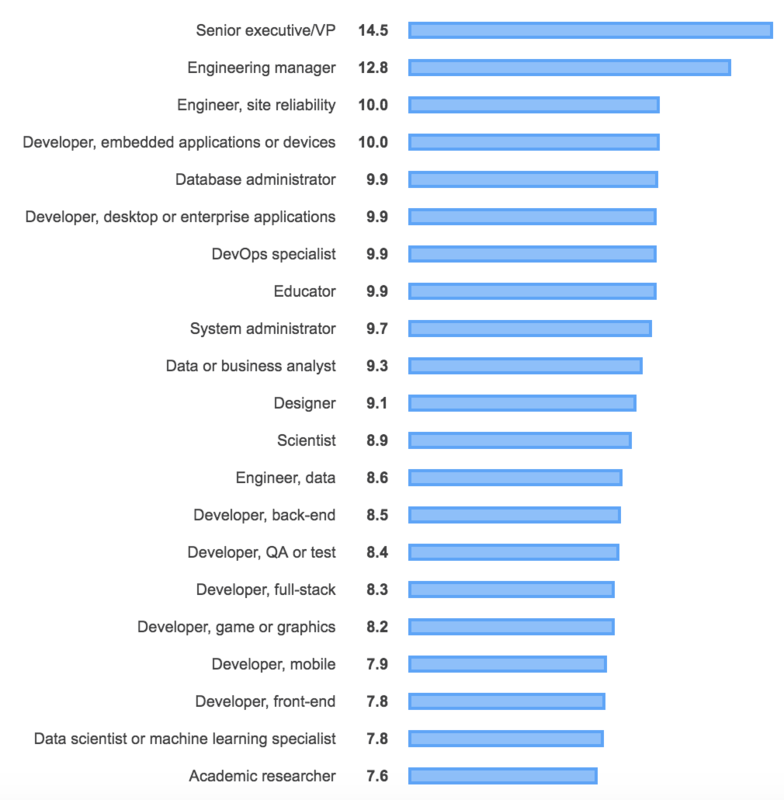 In the survey, data and business analysts reported an average of 9.3 years of professional coding experience, while data scientists reported an average of 7.8 years of experience. 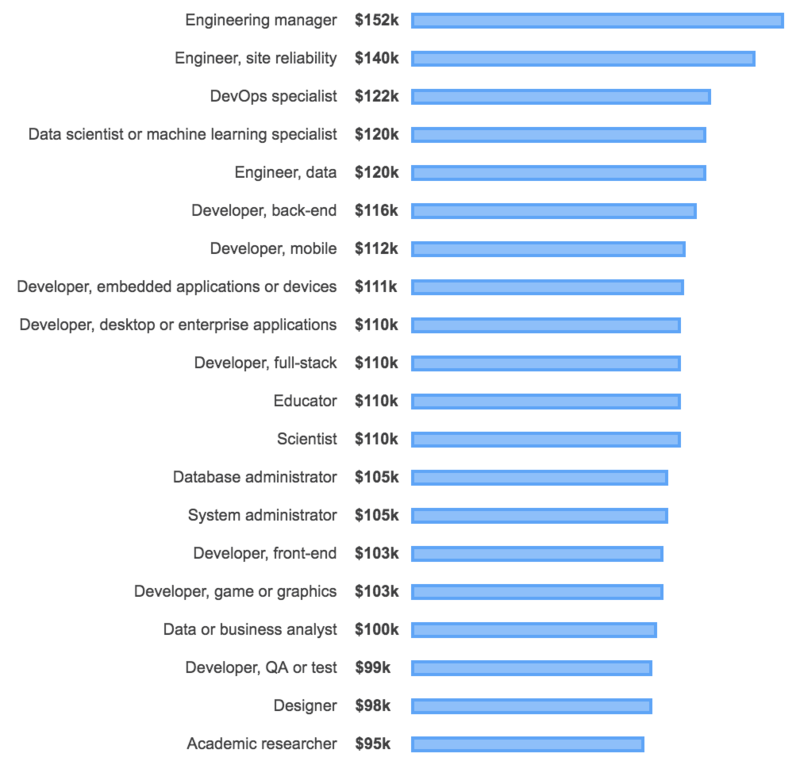 I thought this was particularly interesting in light of the fact that average salaries for data scientists were reported to be $20k higher than those of data analysts. Both data scientists and data analysts ranked near the top of those surveyed to be looking for jobs, with 18.6% of data scientists looking and 17.9% of data analysts looking. SQL was by far the most popular data technology, at 54.4%. This is to be expected given its broad use in business applications and its long history. 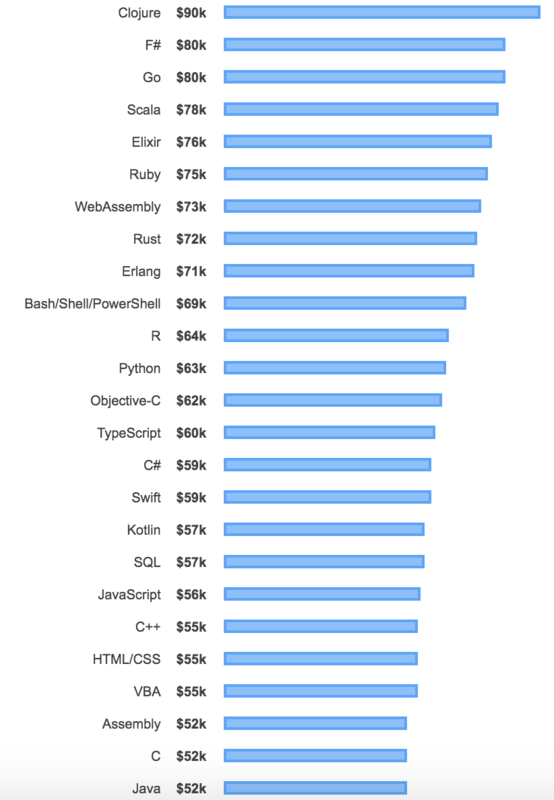 Python clocked in at 41.7%, though as a general purpose programming language the majority of those users are likely not using Python for its data processing in particular. R came in at 5.8% usage in the survey. While not directly related to analytics, I thought the survey question on undergraduate major was particularly interesting. 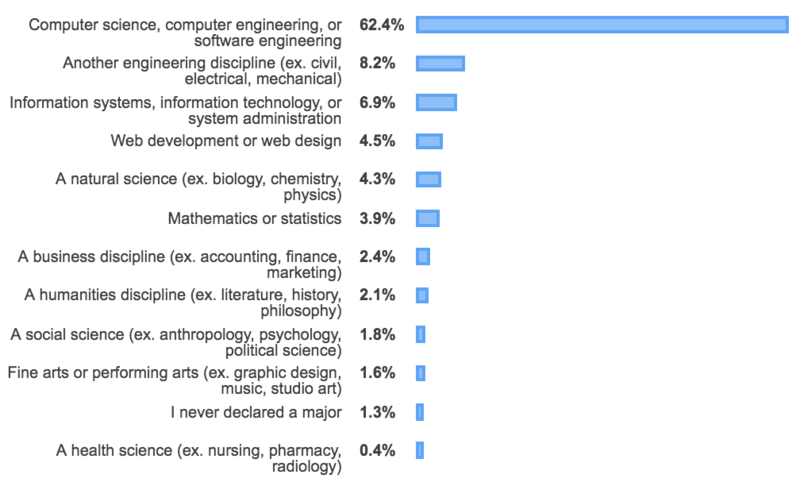 A massive 62.4% of those surveyed reported studying computer science, computer engineering, or software engineering in undergrad. In undergrad I studied finance and statistics, which came in at 2.4% and 3.9% respectively, quite low on the scale here. I wonder how much these figures would differ for data scientists, where fields like economics, statistics, and business seem to be better represented. I hope that when Stack Overflow releases their data for this survey I'll be able to analyze this question more deeply! I encourage you to check out the survey for a bunch of other useful information. There's more information on database usage and machine learning frameworks, as well as general information on work environments, developer satisfaction, and much more! Did you find this post interesting? 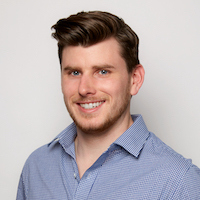 I frequently write about topics in the fields of analytics and data science to help keep you up to date on developments in the industry. If you want to be notified of new posts, sign up here!